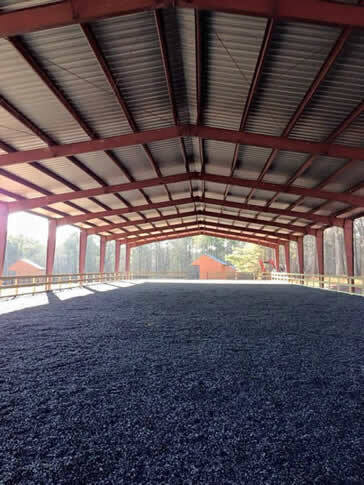 Windcroft Farm is a privately owned dressage facility in Apex, North Carolina. 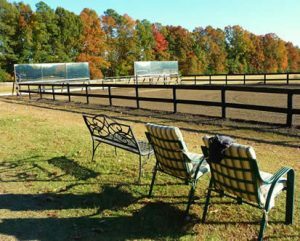 Established in 1997 by married couple Rebecca and Anthony Blikslager, Windcroft Farm has developed a reputation of great care and excellence that resounds amongst the local and national dressage community. Windcroft features twelve well-ventilated stalls with individual fans and time activated fly spray system. 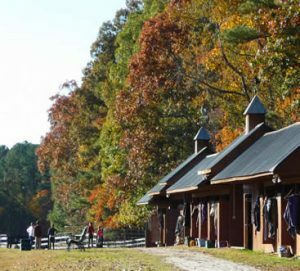 Boarders each have personal lockers along with access to two tack rooms, two wash stalls, a full-size outdoor arena, and full-size covered arena with Surefoot rubber footing and mirrors. Horses enjoy spacious double fenced post and rail paddocks with 12 x 24′ run-in sheds, carefully maintained grasses and top quality Purina Ultim Gastric Care and Progressive feed with locally harvested orchard grass hay. Rebecca Blikslager is a USDF Bronze and Silver Medalist, L graduate judge with distinction, Pilates certified instructor and experienced farm manager. Twelve students in her training program have earned their USDF Bronze medals and all but two started with her at training level. Additionally, two have attained their USDF Silver medal status! Anthony Blikslager is an equine surgeon and large-animal research professor at NC State University with a lifetime of caring for horses behind him. A full biography for Rebecca and Anthony can be found here.